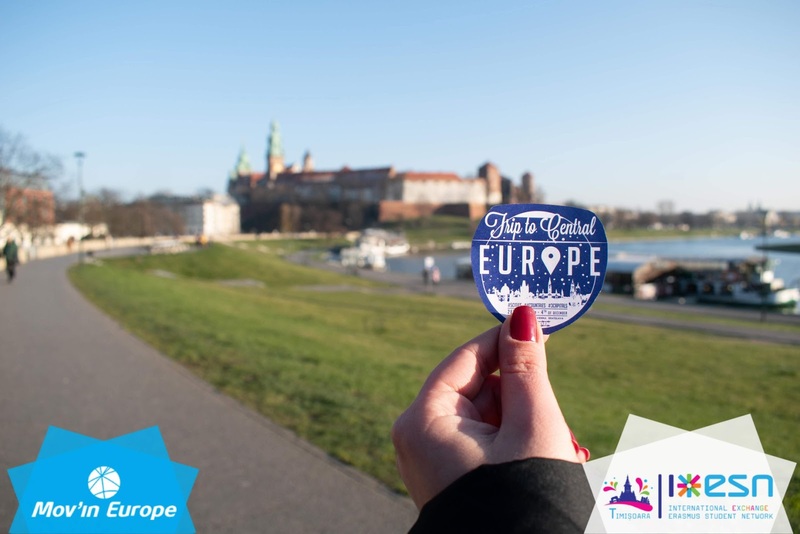 What happened in Trip to Central Europe? It is said that Good things don’t last forever… but they do remain in our minds as the most memorable ones! 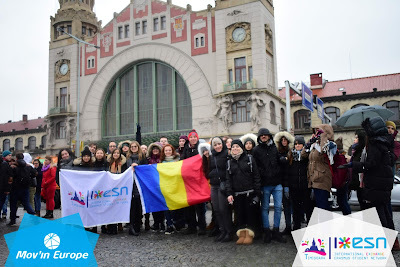 One such example is the Trip to Central Europe, organized by the volunteers of ESN Timișoara for the Erasmus+ students in our local community. What is so special about this trip and why is it memorable? 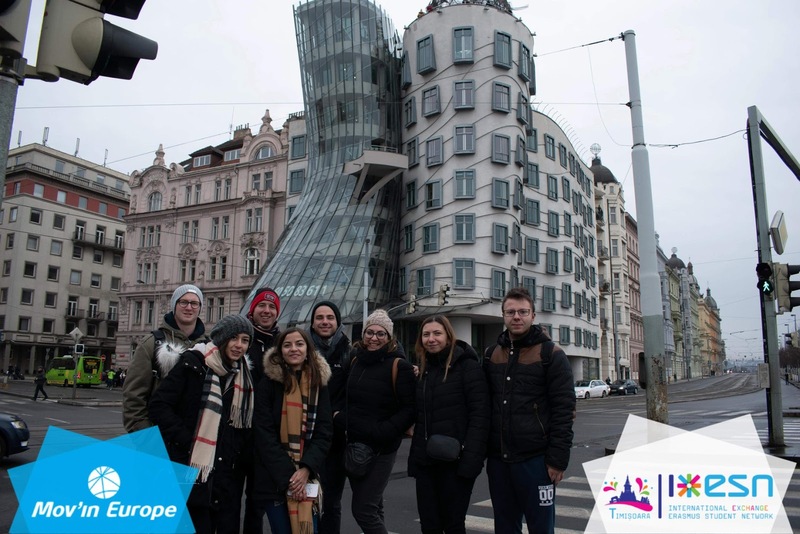 Trip to Central Europe is organized once every year, around 1st of December, and it gets a group of adventurous students in circuit around Central Europe. 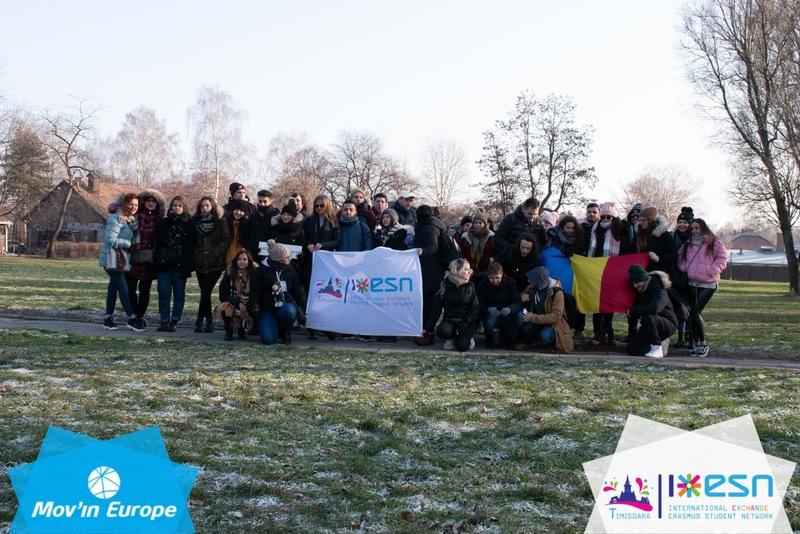 In 2018, it took place between 28th of November and the 4th of December and the 50 students visited 5 cities in 4 countries: Krakow, Auschwitz, Prague, Vienna and Bratislava. 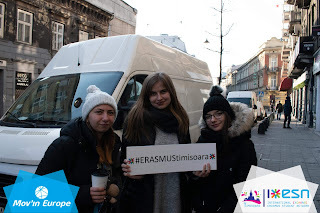 One of the purposes of the trip was to bring the Erasmus+ students and ESN volunteers from Timișoara closer to a couple of European countries with interesting stories to listen to, plus to involve the participants in writing the next pages of the local and, respectively, the pages of their own personal (hi)stories. Also, another purpose of the trip is to strengthen or create bonds between the participants and locals. In this sense, everyone involved in this trip discovered together the cultural and historical background of the cities through their heritage. Day 1! Our journey began in Poland where we visited the beautiful streets of Krakow. The Old Town charmed us with the elegant horse carriages, with the Polish people who sang with joy, and with its very lively atmosphere present in the Christmas Market. In the city center, all the people were brought together, the locals and tourists, sharing warm smiles with each other. During Day 2, we traveled from Krakow to the Auschwitz concentration camp. At Auschwitz, all of us read a dark and grim page of history and held a moment of silence for those who had suffered and were sent to silence not so long ago. In Day 3, we arrived in the Czech Republic and explored the exquisiteness of Prague, a capital which invites all the tourists to explore its architecture and which never fails to surprise tourists and locals with what it can reveal to the eyes of explorers. The kindness of the people is also what makes tourists never want to leave! From Prague, we travelled to Vienna in Day 4. The city welcomed us with warmth and invited us to explore the Austrian culture and the delicious local cuisine. Again, discovering the city was a challenge since it has such a variety of cultural symbols, both in the heart of the capital and around it as well. In the last day of our trip, we visited Bratislava in Slovakia. Here, we could observe a lot of beautiful shops with handcrafting artists, we could taste the sweets in the Christmas market, and we tried to make the time stop since the trip was slowly coming to an end. We couldn’t do that, whatsoever. What we could do was to re-live those memories every time someone asked us about them. Since memories are made with people and told by people, in the ending of the article I would like to say a sincere Thank you to all the ones that trusted us to organize the trip and for those of you, the Erasmus+ students who joined us in it an made it possible. The organizing committee and the volunteers involved in the 2018 edition of the Trip to Central Europe are Raluca-Andreea Petruș, Ana Maria Mecea, Anda Popa, respectively Georgiana-Adelina Ghiura, Miruna Oana Vlad, Andrei Moldovan, and Thomas Gurtler. Thank you to our photographers as well, Thomas Gurtler and João Afonso, who captured all our beautiful moments, our struggles when we were cold and tired, our curious gazes exploring each city, and our smiles when we hugged each other!